Check out my fantastic holiday/winter themed main idea flippers pack freebie! These are a great way to have your students practice main idea. Just print, copy, and go! This freebie contains a penguin, a mitten, and a elf hat. 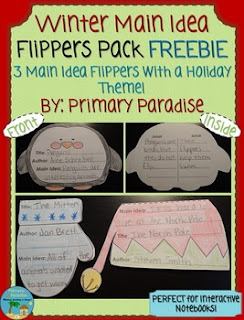 For more main idea flippers, check out my pack that contains flippers for all seasons here. Feedback on this FREEBIE is much appreciated.